Some years ago there was an article in the New York Times describing certain farming techniques as being beyond organic. Ronnybrook Farms was mentioned as an example. The article spoke about local, knowing where your food came from and purity. Those qualities are not unique to organic products and in fact there are those that argue that as more products appear carrying the “organic” label the designation has begun to lose its authenticity. 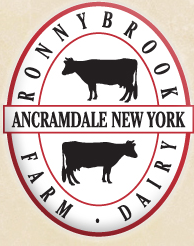 Visit the website below to find store locations and farmers markets close to you, where Ronneybrook Dairy is available!